HTML or Hyper Text Markup Language is based on tags. It uses different elements of programming enclosed in brackets which are called HTML tags. In order to use tags, you have to first insert the “Open” tag followed by the information which you want to insert. In the end, put the “Closing” tag to complete the tag. Most of the tags come in pairs. However, there are few other tags that don’t require their closing end. The internet browser is designed in such a way that it can read and fetch the property of tags and display the information enclosed in it accordingly. Here we will show you more information on what are tags, some basic tags used is HTML and their function. 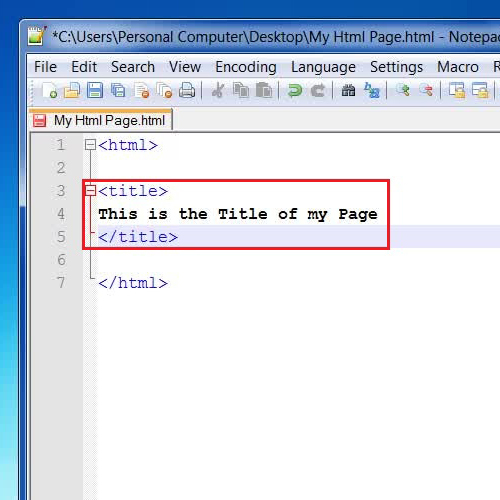 In this tutorial, we will try to answer the question – what are tags and how to work with tags in an HTML. Tags are the basic building blocks of any webpage. HTML tags are actually HTML markup tags which are keywords surrounded angle brackets. Tags always work in pairs. First tag is called the “Opening Tag” or a “Starting Tag” and the ending tag is called the “Closing Tag” which has an addition of a “Forward Slash” in it. In order to make some tags in our HTML page, open it in a notepad. Now enter “<title>”, enter the title of your page then enter “</title>” to close it. This will serve as a title of your webpage. 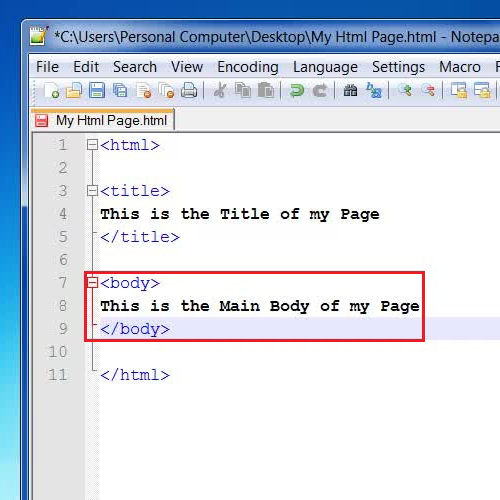 ”, enter some text then write “</body>” which will serve as the main body of your page. Once you have inserted different html tags in your HTML page source code, go to the “File” menu and click on the “Save” option from the list. This will save all your changes on the page. 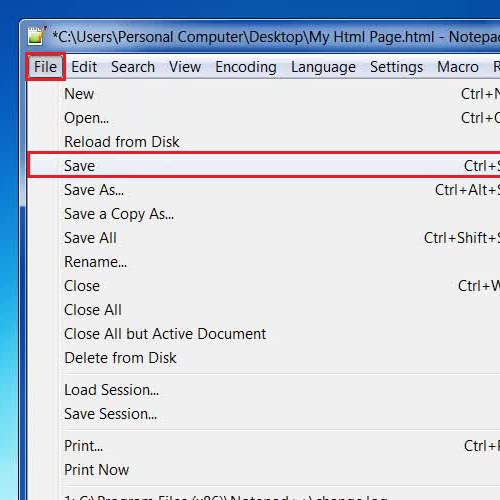 Once you have saved the HTML page, double click on the “My HTML Page” file on the desktop to open it in your windows default web browser. 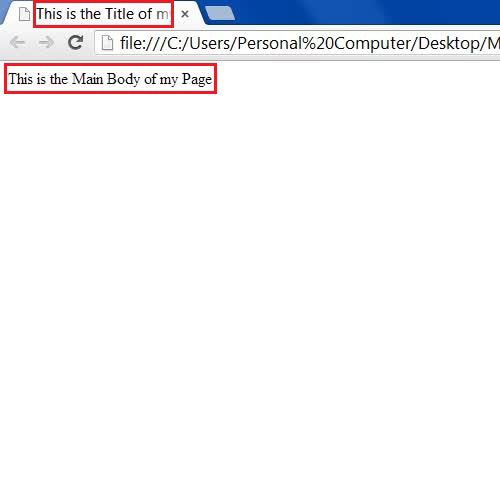 Now you can see that the title and body texts are applied on your page.